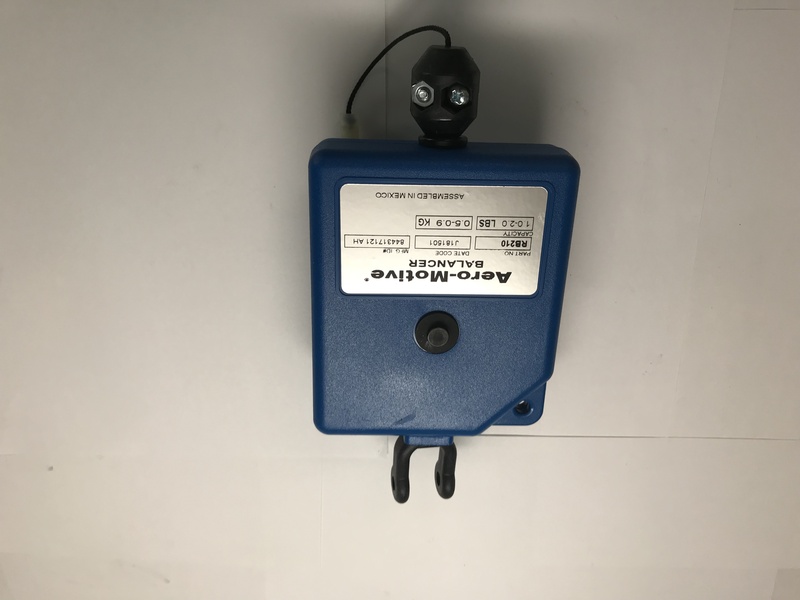 Aero-Motive® Retractors improve the efficiency and safety of workers performing assembly, packaging and other shop-floor jobs. 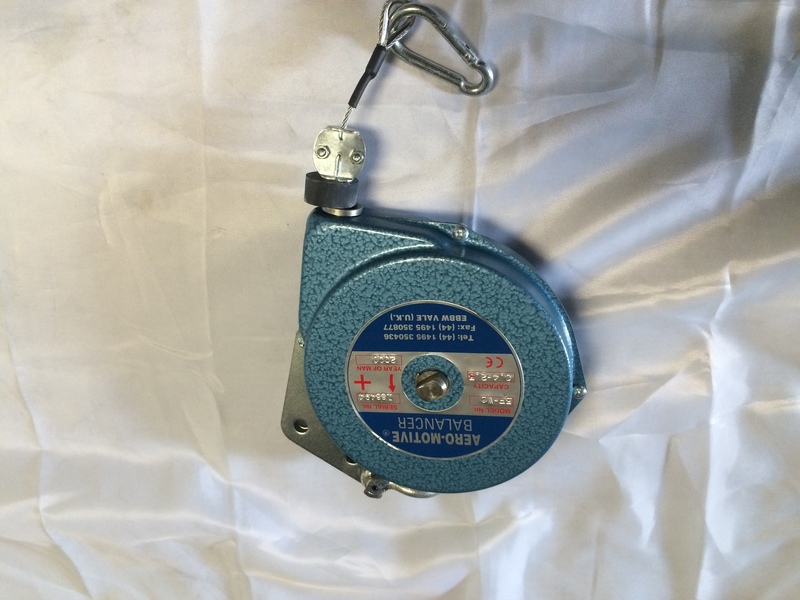 Aero-Motive® retractors are designed to retract cable or tools when no force is applied. Minimal effort is required to hold tools into working position with retractors. 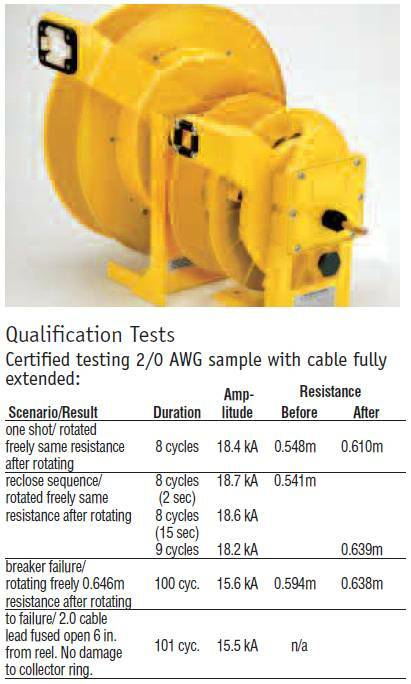 Torque output of the rewind spring increases as the cable is extended, retracting the suspended object to the uppermost-adjusted position when released. 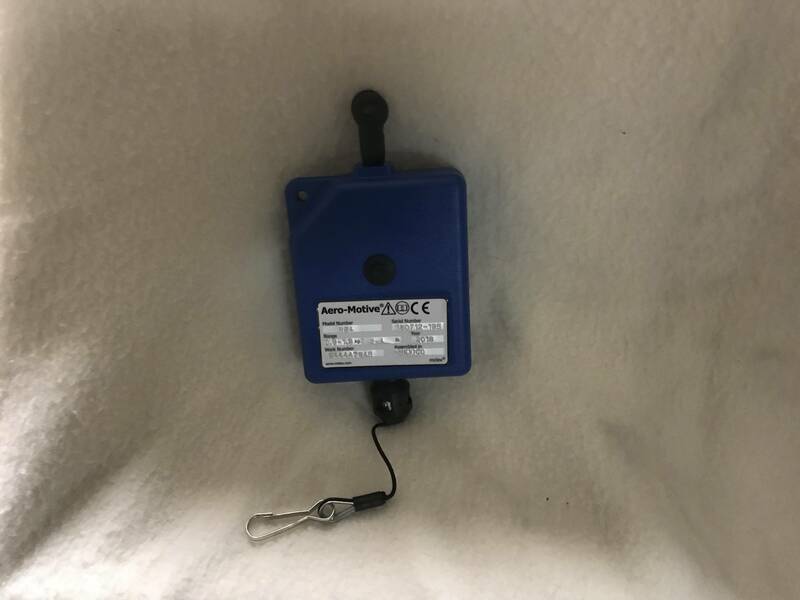 The retractor supports tools such as scan guns, electric and pneumatic tools such as airscrew drivers, torque wrenches and cable on hose assembles for either temporary use or constant retraction. 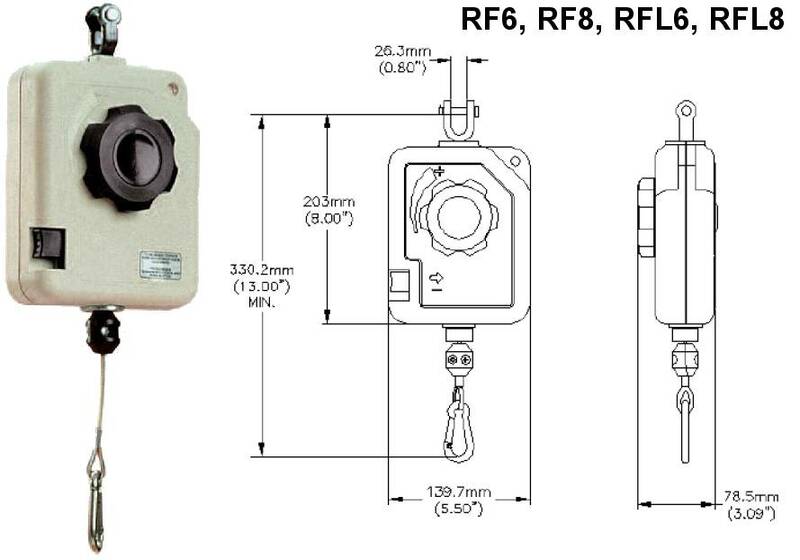 RB/RF retractors are standard-duty retractors supporting weight ranges from 0 to 3.6kg (0 to 8 lbs). Featuring an easy tension adjustment requiring no tools, RB/FB retractors are constructed of high-impact composite housings. 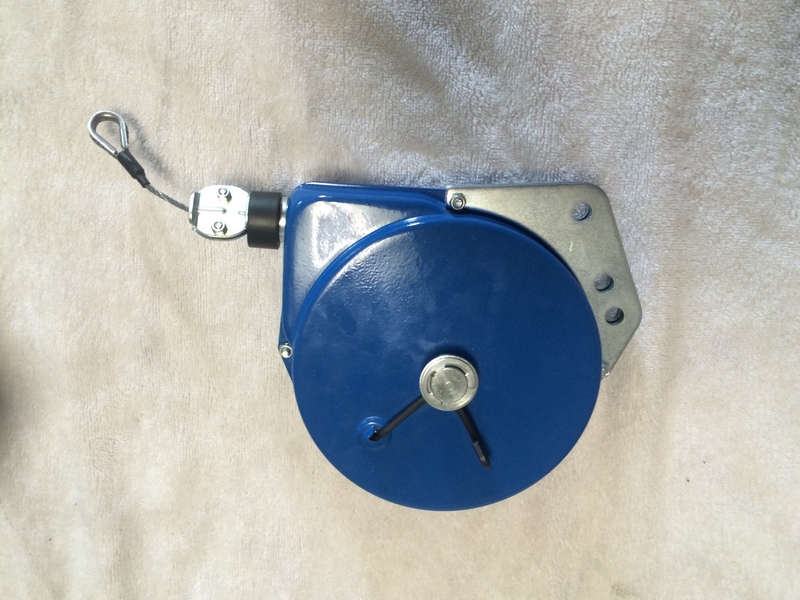 RB/RF retractors reduce repetitive motion while minimizing operator fatigue. 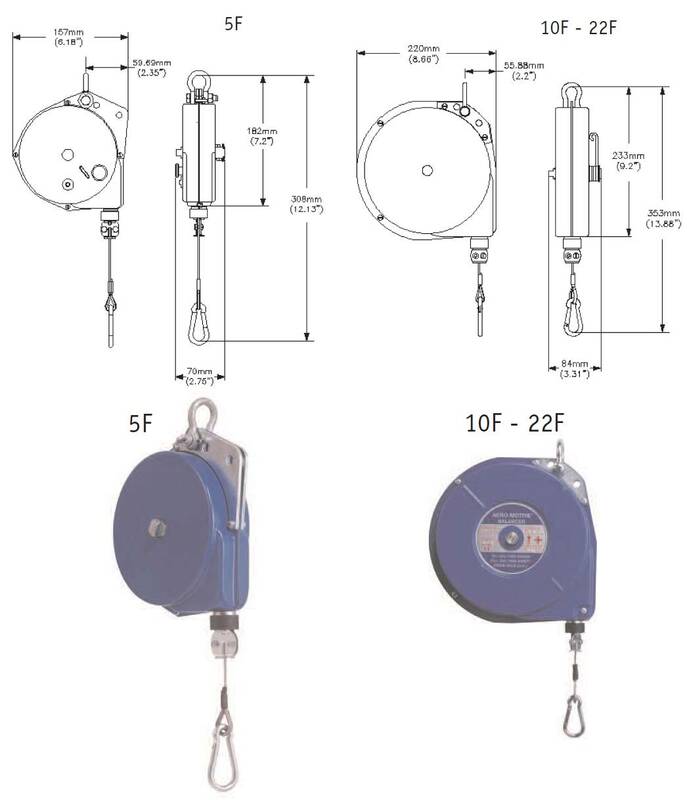 F/FLR retractors are heavy-duty retractors supporting weight ranges from 0.4 to 10.0 kg (1 to 22 lbs). These retractors offer a fast, easy-to-use tension adjustment to support various tools. 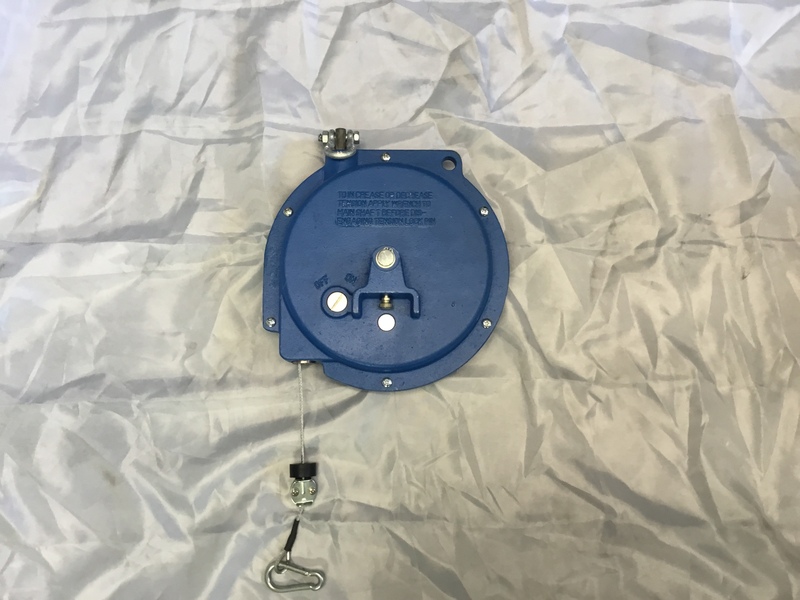 Heavy-duty steel-construction housing and a durable 2.381mm (3/32") diameter stranded-steel aircraft cable offer a longer life in abusive environments. 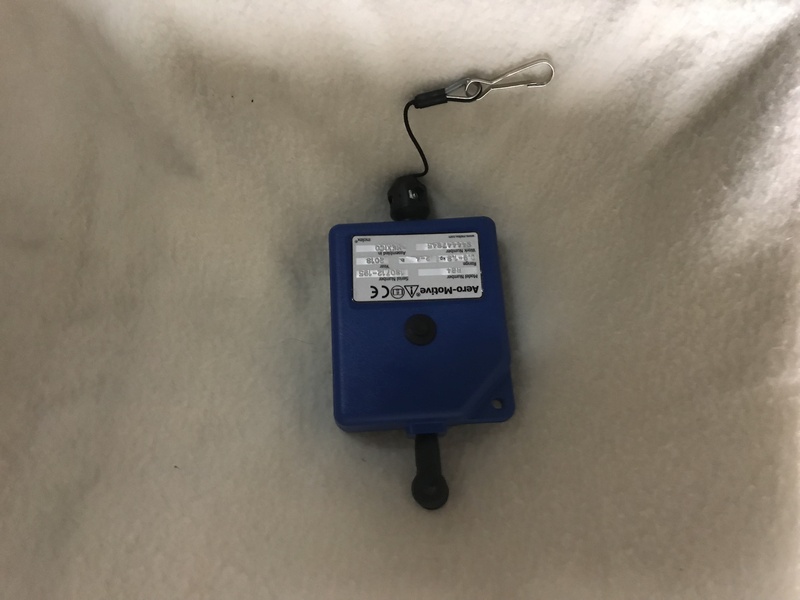 The ratchet lock on the FLR models (ON/OFF switchable) allows the user to position the tool in a desired location with no adjustment tool required. 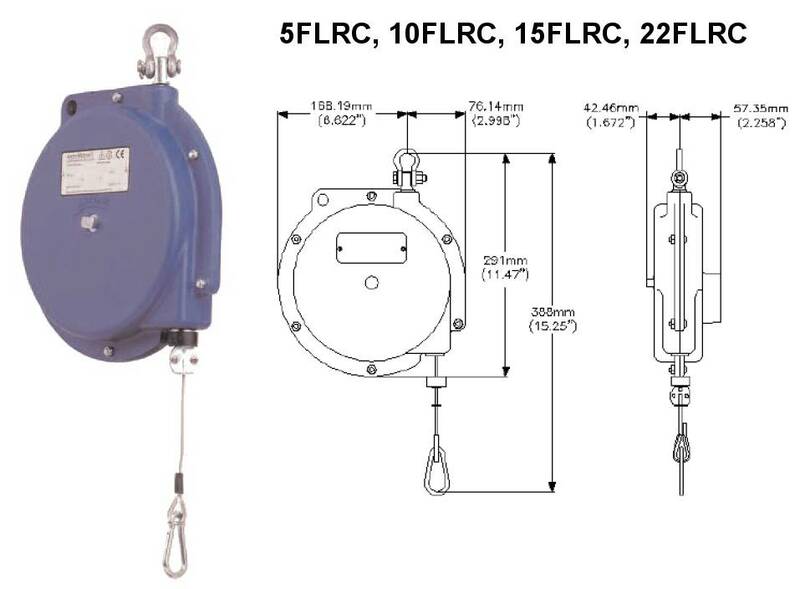 FLRC retractors are severe-duty retractors supporting weight ranges from 0.8 to 10.0 kg (2 to 22 lbs). 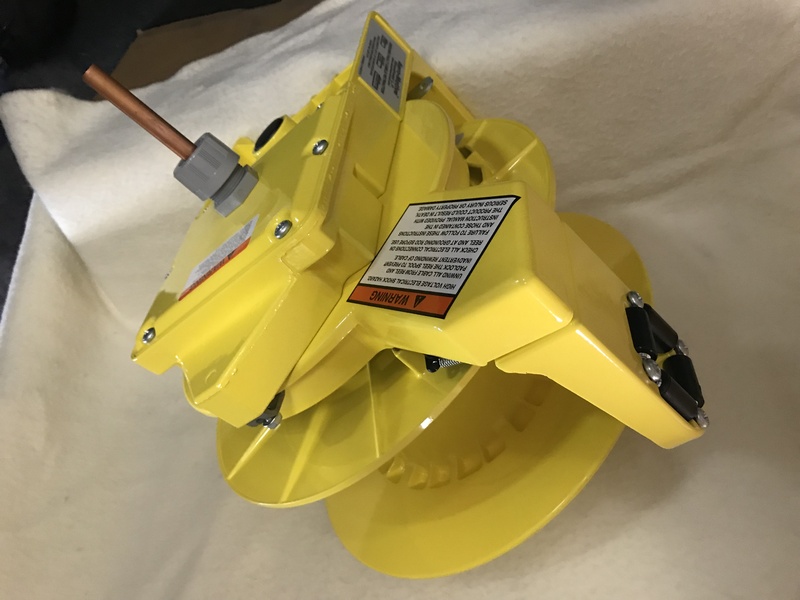 The rugged design offers durable heavy-wall cast aluminum housings and a 2.381mm (3/32") diameter stranded-steel aircraft cable ensuring longer life in abusive environments. Ratchet lock (ON/OFF switchable) allows you to position the tool in a desired location without the need for an adjustment tool. A 360o top-mounting swivel maintains the balancer and tool alignment while minimizing wear.